If y ou run UNRAID at home and you have a UniFi Camera system then check out my latest container…. UNRAID – If you have issue with MongoDB continually restarting please check your data mapping. I have seen issues where user shares do not work correctly. Please try mapping direct to a single disk or to cache drive to ensure smooth operation. The trick to containerization is picking the right workload (as with most things). Think about data, its state and where it lives and whether there are any benefits to running as a container. Both Ubiquiti’s NVR and Plex’s media server software run’s some base application, this app within its own container then maps to data (which can exist outside the instance) that is consistent. The fun continues when you can update a container (updating the running application), but keeping the data intact at another location. This can really help with version control etc where you can sometimes just point the new container at the data and turn off the old instance. Rollback? easy. Turn off new container and roll back to old. Of course things are easier if you are running applications that do not change the data. Both NVR and Plex only index and capture new data (in consistant format), which makes moving between application versions much easier. The nature of containerization means that the full power of the host is taken into regard. This is different to regular visualization where each guest is limited to the virtual hardware it is assigned. There are of course challenges where resource is congested, but this can also happen in the latter (cpu scheduling, under / over allocation of resources). Availability also has to be built with containers in mind, with load balances and instances across multiple hosts. 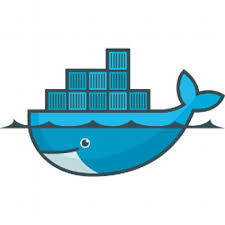 Update : this site has now now been migrated from a VM to 2 x docker containers…. One for MySQL Backend and one for WordPress FrontEnd. Containers can be linked – so the WordPress container can access MySQL container via its own local port. Very cool. errors on unraid GUI – sometimes its a loose cable, sometimes its an issue with the drive. unfortunately in my case, looks like drive is pretty much dead… not too bad for a drive almost 5 years old. its pretty typical of a WD green drive in its default config to die in this type of environment, no plans to replace it with a similar type drive. You can see below the incredibly high LCC count which indicates the drive header has parked this many times over its life. This is probably part of the problem – there is a tool you can run (check this vid, link for WDIDDLE3 also in comments – http://www.youtube.com/watch?v=J2eYyRI_F98) which disables the intellipark feature of the green drive. I never disabled the park timeout before this drive died (which defaults to 8 seconds!) — note: i have disabled it completely on my other green drives. Why is UNRAID cool for home? Files are distributed over all the disks – so even if you lost more than a single drive you still still have some of your data. Note : with parity drive you can handle a single drive failing without loosing anything, sorta like RAID4 – non distributed parity. Power usage, since the files are stored on specific disks not all the disks need to power on to give you your file. Runs on a USB stick – no large operating system required. Crashplan module can be installed to provide backup options. Copyright © 2019 Daz's bits and bobs. All Rights Reserved.